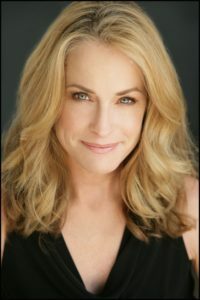 I had the honor of speaking with Amanda Wyss, who played Tina in the original “Nightmare On Elm Street.” We covered everything from Wes Craven to her biggest fears. I grew up in Manhattan Beach, California. I was a happy beach kid. When I was very young I wanted to be a lawyer. That’s all I talked about. Then at age eleven I was cast in my first play at a theater in LA. I portrayed Flora, in “THE INNOCENTS” and the following year I portrayed Rhoda, in “THE BAD SEED.” These were my introduction into the horror/thriller world. Because of these plays I got my first agent, and from there on out I studied and pursued acting. All of the girls read for the role of Nancy at the initial audition. At the callback we were paired up and mixed and matched with other actors. I was paired with Heather Langenkamp. And then they brought in the boys. We were told in the room that we got the roles. It was very exciting. Q: Are you like your character Tina in any way? I suppose there’s a facet of me in all of the roles I play. That’s how I find the truth to play them. My circumstances weren’t anything like Tina’s. But I loved her sassiness and her will to survive. She was definitely a fighter. She’s a universal archetype. The scrappy abandoned/lonely kid creating a family out of her friends. I think a lot of people identify with her. Q: What was it like co-starring with Heather Langenkamp, Johnny Depp, and Nick Corri? Wes really knew how to put together great chemistry. We all got along well and had a great time with each other. Q: Was there ever a time you were scared on set? Did Robert Englund scare you guys on purpose? Oh sure. I was terrified when we filmed the boiler room scenes. That place was so creepy. Robert was great to work with. He’s such a good actor. And a nice guy. Oh man…maybe being eaten by a shark?!? Q: What was it like working with the late Wes Craven? He was smart and funny and generous. Very clear about what he wanted from me in a scene. And he gave me an iconic role that has endured the test of time. A great role from a man I really admired. Pretty cool! Q: Are you excited about your appearance at the Monster Mania Convention in Baltimore? I am super excited about Monster Mania. Looking forward to meeting the fans and seeing old friends. It’s going to be fun!! And I have “Beth” coat hangers from Better Off Dead to sign. Also excited to share my new movies with everyone. “The Id”, which will be released at the end of October. My award winning horror short, Oct 23rd that is online now. “The Capture”, a paranormal sci fi movie coming out next year, and a virtual reality horror film that will be available soon. Amanda appears this weekend at the Monster Mania Convention in Hunt Valley!